The White House often says President Obama has a plan for reforming entitlements, particularly Medicare. However, the specifics of that proposal don’t spring to mind as easily as the reforms being bandied about in Republican circles, such as providing seniors with vouchers to pay for premiums or raising the retirement age. That’s partly because Obama last laid out his reforms in February 2012 as part of his budget proposal. The president did little more than touch on these plans on the campaign trail last year and again in last month’s State of the Union address. But as policy makers dig in for an extended battle on deficit reduction, Obama’s Medicare reform plans are likely to get a lot more attention soon. Rep. Paul Ryan is expected to release his budget, which will update the GOP’s proposals to rein in health care spending on the elderly, on Tuesday. The president’s plan focuses mainly on reducing payments to drug companies and hospitals, though he would also raise revenue by asking wealthy seniors and new beneficiaries to pay more. All told, his reforms would cut health care spending by $400 billion, according to updated estimates by the White House. To understand how the health-care system sometimes fails patients and often wastes money, consider the case of a South Florida nursing-home patient who developed a cough and slight fever. “The nurse notifies the doctor, who doesn’t get much information and says, ‘Send her to the emergency room,'” recounts Joseph Ouslander, associate dean for geriatric programs at Florida Atlantic University. “She has tests in the emergency room, some of which are falsely positive, and is admitted unnecessarily to the hospital, where she gets acute confusion and breaks her hip. Striving to avoid such calamities, Ouslander and other health-care leaders in Florida are developing innovative methods to care for many patients in the comfort of their homes or in nursing homes instead of sending them on costly and risky trips to the hospital. An FAU program trains nurses and advises thousands of nursing homes across the country about ways to detect problems and treat patients without always resorting to the emergency room. Farther north, Orlando Health is using physician interventions, “tele-medicine” and even old-fashioned house calls to keep people out of hospitals. The approach of the so-called fiscal cliff has unleashed a torrent of inanity in Washington. The cliff is an artificial impediment, a testimony to the ineptitude of the last Congress, an overreaction to our overhyped long-term deficit problem. I don’t want to see middle-class taxes raised, but I’m not convinced that there would be severe consequences if we took a Thelma and Louise. We would return to the Clinton-era tax rates, which some economists say would result in a recession. But that’s what economists were saying when the Clinton rates took effect in 1993 – and the economy boomed. The $500 billion in Pentagon cuts might be a welcome discipline for a department still buying Cold War – era hardware. The $500 billion in domestic-policy cuts would be more harmful, but not fatal. How Will the Election Change Medicaid? The future of Medicaid – the state-federal workhorse of the nation’s health system that provides health coverage to the poorest and sickest Americans – hangs in the balance on Election Day. President Barack Obama and Republican nominee Mitt Romney have vastly different approaches to the program. Medicaid is the backbone of the 2010 health law – considered Obama’s signature legislative achievement – which, starting in 2014, expands coverage to 30 million uninsured Americans. As many as 17 million of those newly insured citizens will be on Medicaid. Romney would turn over much control of the program to states and give them new powers to tailor benefits and eligibility to their own budget needs. Romney says such a move would begin saving $100 billion per year by 2016. 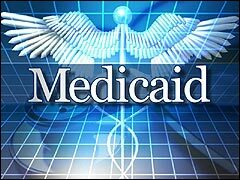 Posted in Government Affairs, Medicaid | Comments Off on How Will the Election Change Medicaid? CHARLOTTE, N.C. – As it was on Tuesday and Wednesday, healthcare continued to be a central theme here as the Democratic Convention wrapped up on Thursday night, from the first speaker right up to President Obama. About 15 years ago, Carol Berman exhausted virtually all of her assets to pay for long-term care for her Alzheimers-inflicted husband. Finally faced with having to deplete her 401k to pay for his health care, she divorced him, although she continued to visit him daily at his nursing home. WASHINGTON – Nearly 50 million people on Medicare, as well as those entering the program at a pace of one every eight seconds, are likely to get more than their money’s worth before they die. The same can’t be said for anyone under 55 who will rely on the federal health care program for those 65 and older in the future. They face higher costs and, possibly, longer waits before they qualify for coverage.